One thing we are yet to master here in the UK is the art of a great barbecue restaurant. Using great quality meats and sides and creating simple but wholesome foods. I love trying all kinds of different smoked meats and the meat industry in the UK is huge so should we be encouraging Dickeys to bring themselves over here too! I love the fact that Dickeys is a family owned business currently based in Dallas Texas. 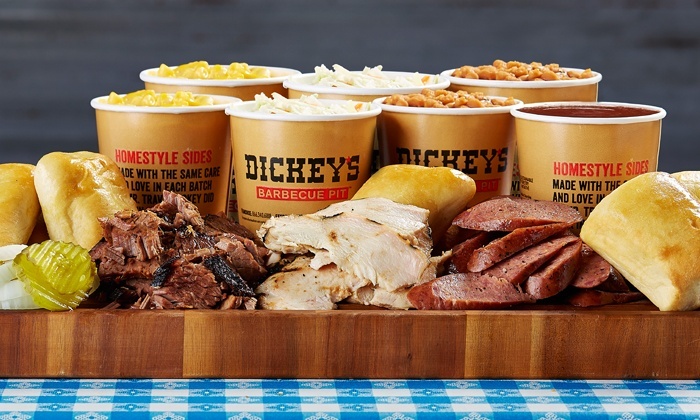 Eating at Dickys you can typically find yourself tucking into an array of meats such as pulled pork, beef brisket, pork ribs, polish sausage, hot link, chicken and spicy cheddar sausage. These are typically cooked over burning pits which are hickory smoked to pack in that extra flavour. 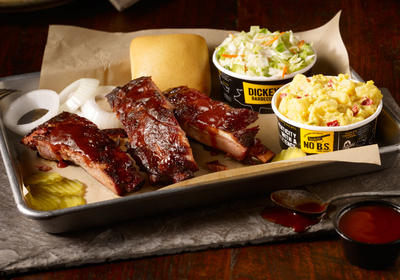 The best bit about a BBQ is all the sides though and there are a great selection to choose from. You can find yourself filling up on green beans with bacon, barbecue beans, waffle fries, jalapeno beans, corn on the cob, salads, Okra and so much more. I think a quality selection of sides is so important as I love to mix and match. As a growing business we can only hope it finds it's way across the ocean but until then I know where I will be planning a trip to for all my BBQ needs. Have you been to Dickys? Whats your favourite BBQ foods?